iMovie is an easy and powerful editing tools with great features and effects, you can have a great touch for making movies on your iOS, MacOS devices. With the AirDrop or iCloud Drive, you can even transfer your project from one device to another and pick up right where you left off. Undoubtedly, iMovie is a best free video editor for Apple Fans. 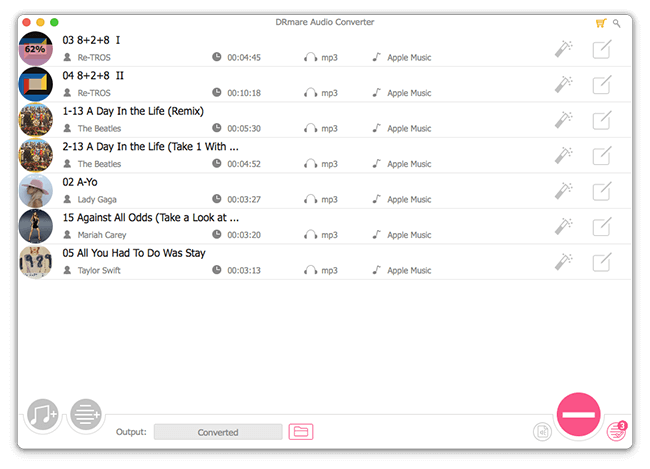 Do you want to add Apple Music to iMovie too? Today I will focus on this topic to help you find a good solution. Unlike iTunes M4A songs which can be loaded into iMovie with ease, you may encounter the problem that the Apple Music file are shown as unavailable. That is because Apple Music is an online streaming service with digital right management protection. Except streaming online, you can't move it elsewhere for other purposes. In this case, most users have to go for other sources for downloadable songs. That is so bad because sometime it is just too difficult to find the songs you want giving the situation that there are a lot of exclusive songs. Also, you may end up buying the songs repeated though you have already subscribed to the streaming service. Is there other better work around here? Sure. Since it is the DRM protection which makes it impossible to use the songs, why not just delete the encryption directly? And it is totally legal if you only use it for personal, so nothing need to be worried. 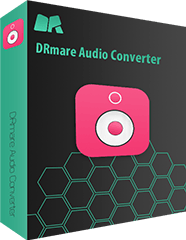 DRmare Apple Music Decryptor for Windows/Mac is one of the top software to help you here. The reason why I recommend it instead of other rival products is that it is lossless, effective and not complicated at all. You can't tell the difference of the audio files after converting for its lossless technology. With the batch converting speed, turning multiple encrypted songs to common MP3 files is a piece of cake. For more info about it, you can also visit the following feature description. Apple Music charges you $9.99/month but still doesn't allow you to add the songs to a video on iMovie, you'd better cancel it if you only want to get songs for editing. Before that, you can download all the songs to your local computer with the help of the magnificent DRmare software. It works pretty well with all kinds of Windows and Mac systems including the latest Mac OSX High Sierra. Take the Mac version for example, you can download the software .DMG file and then drag it into the Application folder and double click it to run, you will see the clean interface of it. Note: DRmare software can't decrypt the software unless you downloaded and authorize the Apple Music files on iTunes. If you haven't done that, please go to the "For You" tab on iTunes, then you can click "..." icon to add the tracks to iTunes and click the "download" icon to back up the songs to your local computer. You can simply click the "Add" button at the bottom left, it will let you browse all the available files from iTunes. But the best and easiest way to do that is dragging & dropping the Apple Music files from the iTunes to the DRmare main screen directly. 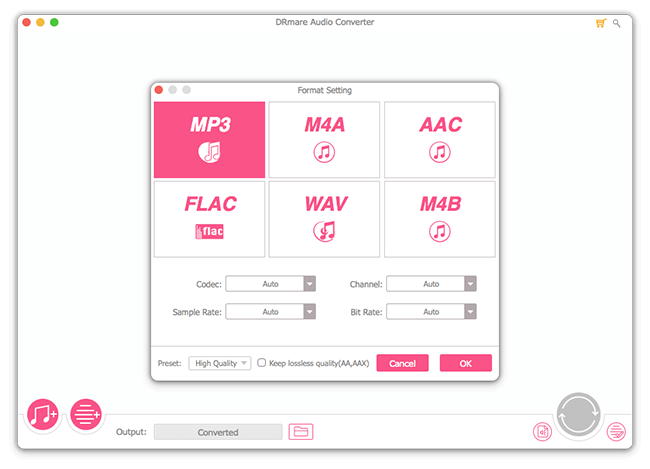 There are 6 options you can select for the output format including MP3, M4A, AAC, FLAC, WAV, M4B. Personally I'd suggest you to choose MP3 as it is supported by iMovie seamlessly. 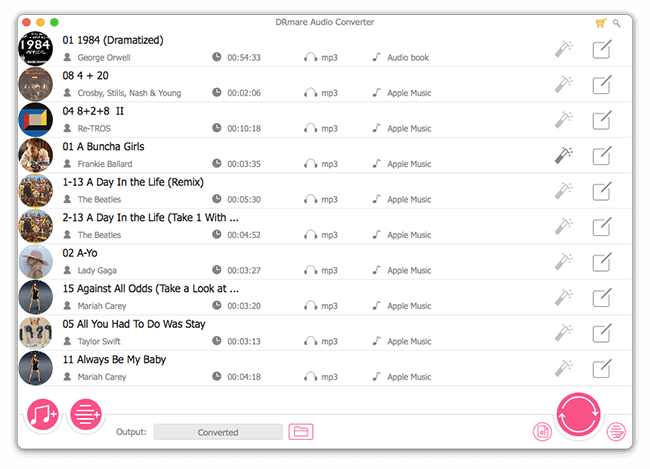 Depending on different styles of movies you want to create, you can also personalize the songs such as the codec, channel, sample rate, bit rate and adjust the playback speed, volume, pitch and so on. Now press the "Convert" button to start to convert the DRM protected M4P to MP3 or other plain formats. Once it is done, the output music files will be DRM free just the same as the ones you bought from iTunes or any other similar music store. It will save you thousands of dollars if you want to get a brunch of soundtracks. That is excellent, isn't it? iMovie supports many types of background music such as the iMovie theme, iTunes songs or imported tracks from other apps like Logic Pro X, GarageBand. After getting the DRM free Apple Music, you can import it to iMovie for editing editing on your Macbook Air, iPad, iPod Touch or iPhone. Here I will show you how does it work in iPhone. Step 1. Connect iPhone to your computer via the lighting cable, then you an choose the music files and click "Sync" button to transfer the Apple Music files to iPhone. Step 2. Launch iMovie on your iPhone > Open your project > Click "Add Media" button > Tab "Audio" menu. Step 3. You can find the songs you want from the listed categories such as "Theme", "iTunes", "Imported", here you can choose "iTunes" and then locate the very song you want. Step 4. You can preview the song and then tap "Use" button to add it to your project and start to cut it from the iMovie. If the length of the music is shorter then your video's, the music will loop by default. 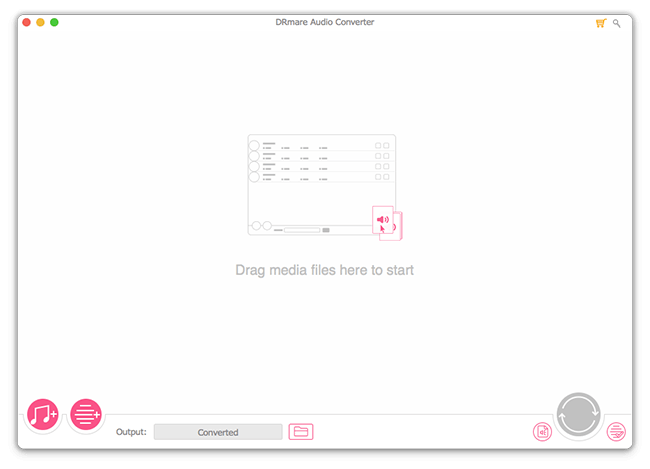 Besides that, you can also add the audio from a video clip, add sound effects or record your own sound through a microphone for your iMovie. If you have any questions about cutting Apple Music on iMovie, please feel free to let's know on the comments below, I will answer it personally. Hope you enjoy editing.